The agreement complements the current growing media product lineup at Hort Americas and strengthens the distribution reach of VegBed’s sustainable microgreen mats. It will give farmers a new option and allow them to speed up their production process by growing their microgreens efficiently and cleanly. The demand for soil-alternative growing mediums and more efficient growing methods have been increasing over the past few years, with Hort Americas being the premier supplier to many CEA farms. 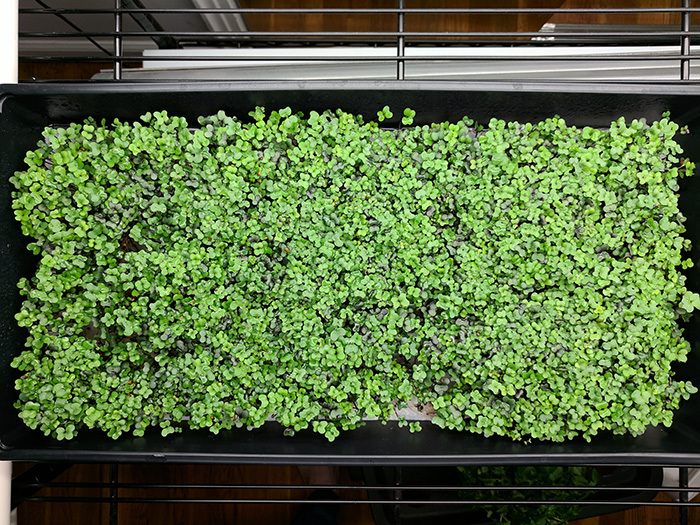 VegBed’s microgreen mats fit industry standard 10” x 20” trays and leave no residue. The bamboo fiber is highly absorbent and 100% biodegradable, preventing trays from drying out quickly. The mats will be available on Hort Americas website on [date] and farms can take advantage of a bulk discounted rate. To learn more about VegBed growing mediums contact Albert Lin at (646)-247-1783 or email, info@vegbed.com, or visit www.vegbed.com. Hort Americas is an innovative leader in North America’s controlled environment agriculture industry (CEA). Hort Americas strives to innovate agriculture via premium technical support, professional salesmanship, unmatched customer service and outstanding products to our customers in the United States, Canada, Mexico and the Caribbean.